You only need one of these cookies to satisfy your sweet tooth – they are decadent, rich, and so delicious! Our friends watched our dog while we were at Disneyland and I wanted to do something nice for them. Their son mentioned eggnog cookies so I decided to surprise him and make a batch. I found a recipe on Cooking Classy that looked perfect. These cookies were simple to make and the frosting was amazing. 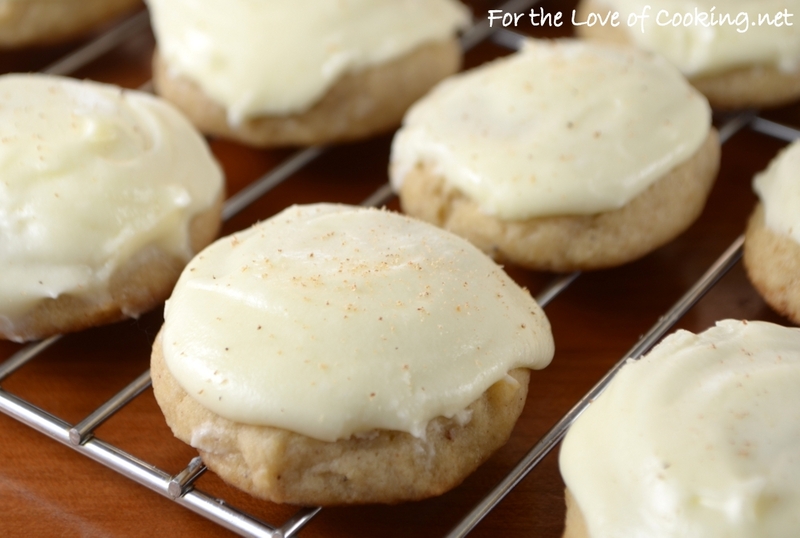 The cookies were soft on the inside, crisp on the outside, and slathered in eggnog frosting. I’ll be making these cookies again soon – they are the perfect Christmas cookie. 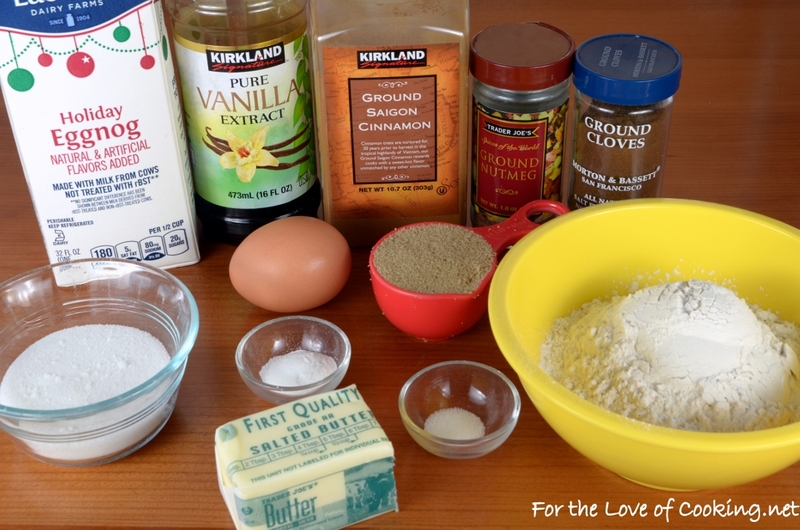 Stir the flour, baking powder, salt, cinnamon, nutmeg, and cloves together in a bowl until well combined. Beat the softened butter with the white sugar and brown sugar until creamy. Add the egg yolk, eggnog, and vanilla; beat until creamy. Slowly add the flour mixture to the butter mixture until combined. Place into the refrigerator for 10-15 minutes to harden a bit. 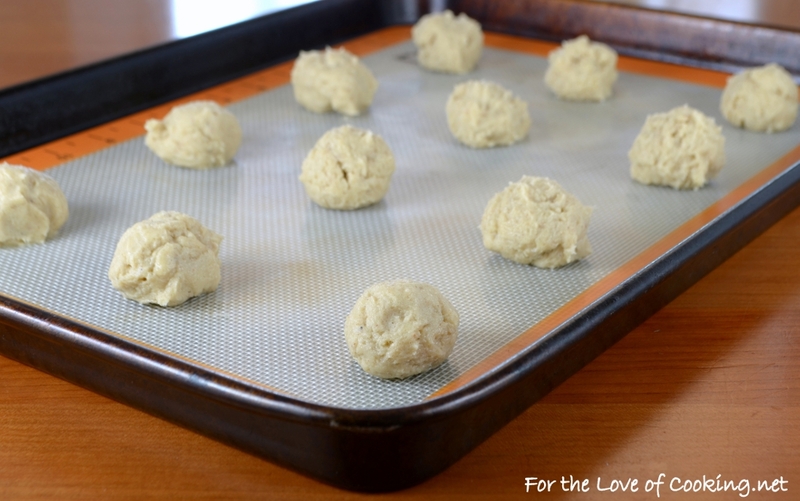 Scoop spoonfuls of dough and roll into small balls then place on the silpat mat lined baking sheet, spacing them 2 inches apart. Place into the oven and bake for 9-11 minutes. Let the cookies rest on the baking sheet for a few minutes before moving them to a wire rack to finish cooling. 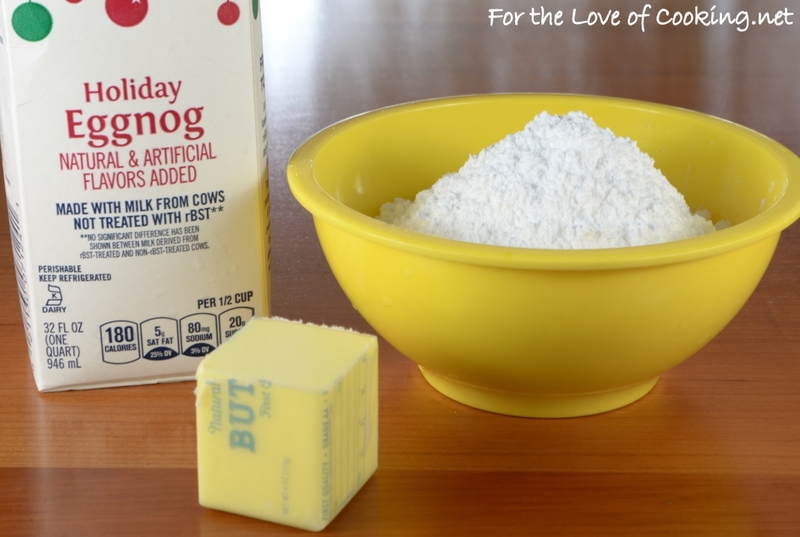 Make the frosting by beating the softened butter together with the powdered sugar and eggnog until creamy and smooth. 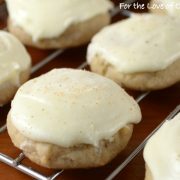 Once the cookies have completely cooled, frost the cookies with the eggnog frosting. Grate a little fresh nutmeg on top of each cookie. Serve with ice cold milk, if desired. Enjoy. Make the frosting by beating the softened butter together with the powdered sugar and eggnog until creamy and smooth. Once the cookies have completely cooled, frost the cookies with the eggnog frosting. Grate a little fresh nutmeg on top of each cookie. Serve with ice cold milk, if desired. Enjoy. What a great looking cookie. almost remind me of Italian ricotta cookies. The eggnog though must add a lot of flavor. Oh, my. I love eggnog, and these cookies sound like the way to sabotage my diet! I NEED a dozen, please! They look fantastic. the frosting really seals the deal, as far as i’m concerned! 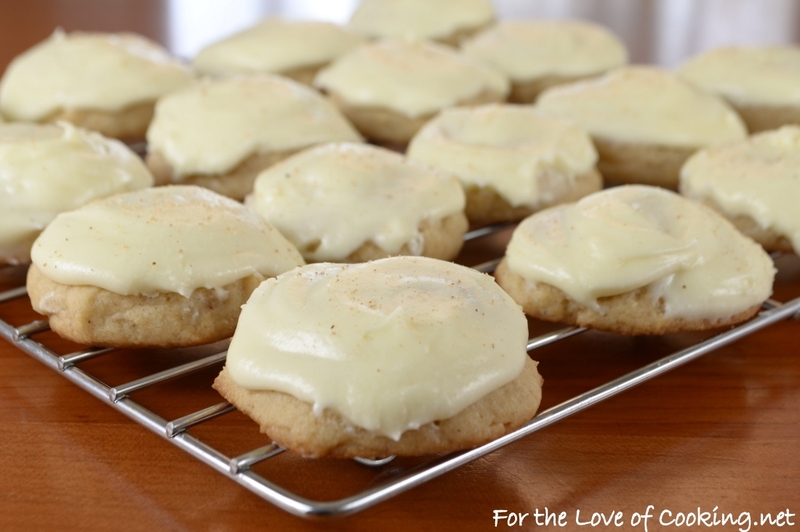 what a great idea–this is the first time i’ve seen eggnoggy cookies! I mean, I might need two but that’s just because I’m a cookie addict! I made these for a christmas cookie contest at work and they won 1st prize!!!!! I’m making another batch to give to friends and neighbors, these are a big hit. Delish!